Does your toddler suffer from selective eating, also known as being a picky eater? You are not alone Mama. Thousands and thousands of kids around the country are selective eaters. There is hope. 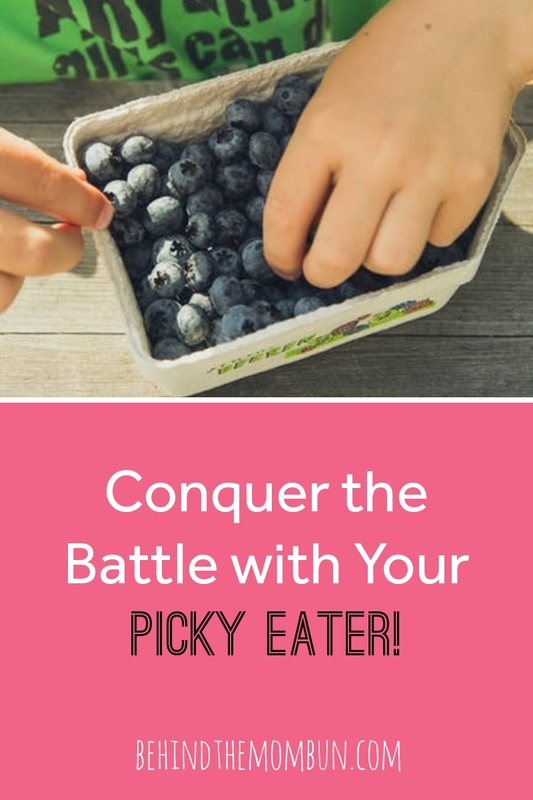 You can conquer the battle with your picky eater. I often joke that there isn’t much I have gotten right as a parent so far, except when it comes to my child’s nutrition. We are four years strong with not having a picky eater. But after running an in-home daycare and seeing the different eating habits of the kids in my care, I feel confident in sharing these tips to avoid raising a picky eater. How do you get a picky eater to eat? There are some common mistakes parents tend to make when dealing with kids that are picky eaters. While it can be frustrating when your kids don’t like half of the things you prepare, that doesn’t mean you should just make them what they want or try to bargain with them to eat certain foods. Here are some common mistakes to try to avoid in order to get your picky eater to eat. This is the most common mistake I have seen. I mean you love your kid, and you want them to eat, so you make them a separate meal. Maybe it’s something they really like, or you know they will eat. Making them a sandwich is tempting, I get it. But, this really only encourages poor eating habits and doesn’t expose them to a variety of food. It can also reinforce unwanted behaviors. Kids know that if they turn the food, you so lovingly prepared down and maybe throw a tantrum, you will give in and make them something else. Mamas, stop being a short order cook and have a rule that they will eat what everyone else is eating when meal time comes. Now because not everything is black and white, I have to expand on this rule just a bit. The ONLY exception we have to this rule is if we give our daughter something she has never had before, she tries it, and she doesn’t like it. It happens. So if it does happen, we will make her a pb&j. That’s it. I don’t cook another meal. Many parents do find this to be helpful, but if you have been offering dessert as a reward for finishing a meal, you might want to re-think your approach. There are certain ages where it might be a good option, but if your kids get into the habit of having dessert as a reward for eating their vegetables, they might stop eating them if you don’t have a dessert that night. This is where the main issue with bargaining with your kids to eat comes in. If you do this with your picky eater, you gotta be ready to pony up that reward every time. While having a dessert is okay, try to avoid the temptation to tie it to eating their meals. And please do not make them finish ALL of their dinners before they get a dessert. The encourages overeating and leads to all sorts of health problems. Trust me on this. I came from a home where we had to “clean our plates,” and I struggle to this day with food. Speaking of the “clean your plate” mentality; this is something that has been done for decades, but it is yet another bad habit you may want to consider breaking. A better option might be to let your kids leave the table when they’re finished eating, but not offer anything else in return. Forcing your kids to eat by making them sit there and eat everything isn’t always the best approach. They might challenge you by sitting there as long as possible (been there), then feel like they ‘won’ when it is bedtime, and you finally let them get up (done that). This can cause their rebellious nature to react in full force and see how much they can challenge you each night. It can also encourage them to lie to escape the unwanted meal. My mom told me I once put liver (so gross to this day) in the sugar jar and told her I was finished. Clearly, I did not like that liver. So why did she try to make me eat? I am sure she thought she was doing what was best. But, don’t force them to eat. And also don’t let them eat anything else if they don’t eat their dinner. Just wrap it up and let them know it will be there for them when they get hungry. I have been known to carry a non-eaten meal over to a snack or the next meal. I promise you that they will not starve themselves and when they are hungry they will eat the meal you prepared for them. It is a great idea to include your kids more in the meal process. I have just recently started doing this. If there is a particular vegetable your son just can’t stand, ask him what vegetables he does like. If he can come up with a better alternative before you plan your meals, then you can make sure he eats his veggies and have much fewer problems when dinner time comes around. Planning and cooking meals together also have many other health and educational benefits. Plus it’s super fun! 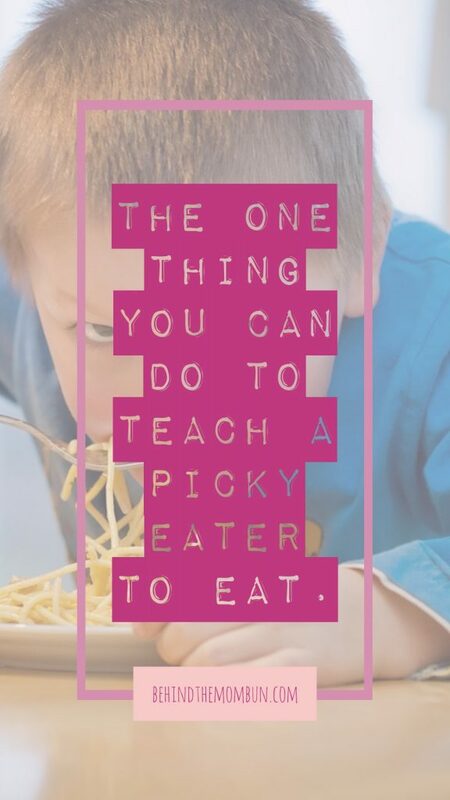 What is the number one thing you can do to avoid raising a picky eater? There are many strategies you can try to change your child’s eating habits but there is one that is proven to be the MOST effective. That is being a great role model when it comes to eating habits. If you want your kids to eat the food you prepare for them, you need to start by eating the same thing. You can’t expect them to eat all of their vegetables or to eat what everyone else is eating if you aren’t following the same rules. This can be super confusing for kids since they look up to you to show you how things work. Getting a picky eater to try new things might be one of life’s greatest struggles. They already know they like carrots, so if you decide to serve cauliflower, they want nothing to do with it. Once they try it, they might like it, but just getting them to take that first bite can be a daunting task, especially with toddlers. However, you can try setting a good example by trying new foods yourself. Let your family know everyone is going to try a new vegetable or a new recipe together, and you and your significant other along with all the kids will be trying new foods. Do this often so your kids know you also try things you have never eaten before. Another way to be a good mealtime role model is by eating the same meals as the family. If you change what is on your plate, what message are you sending to your kids? It can be super confusing for them. Are you on a strict diet? Try to make your food resemble what your family is eating as much as possible. For the most part, you should try to think of healthy dinners you can eat within your food restrictions. Well-balanced meals for the entire family will be much simpler to prepare. Just showing your kids that you eat healthy the majority of the time can help teach them to learn that this is an important thing for them to do. As a picky eater gets older they will be less likely to reject new, healthy foods because they have seen their parents model eating healthy food. It is not uncommon for a young child to be a picky eater. Fortunately using some of the tips in this article can help transform your picky eater into an awesome eater. Do you have a picky eater? What tricks have you tried to change your picky eater’s eating habits? Let us know in the comments.